Whether you are a lifelong resident or you are new to Perth, you know that our natural soil conditions make landscaping and gardening productivity seem like an impossible mission. The good news is that there are workable methods to nourish your sandy soil situation. We are a Western Australia region that is, literally, as old as dirt. Because of, or owing to, our geographical location that was formed on a bedrock of sand dunes, the majority of the soil is lacking in beneficial fungi, essential microorganisms, and the possibility for productive greenery. 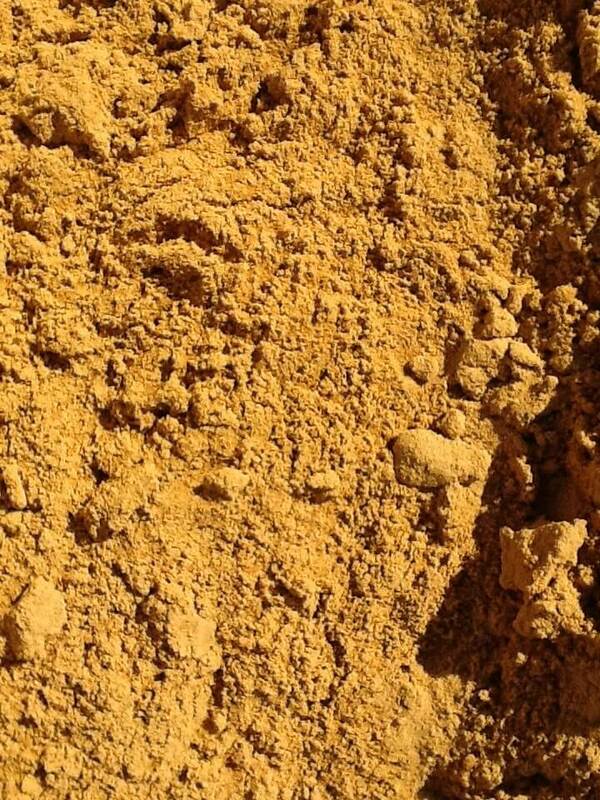 In fact, sandy soil is nearly devoid of any supportive organic matter. While there are several different soil configurations in and around the Perth area, the most common type of soil is sandy. Sand has a poor ability to retain nutrients and to hold in moisture. 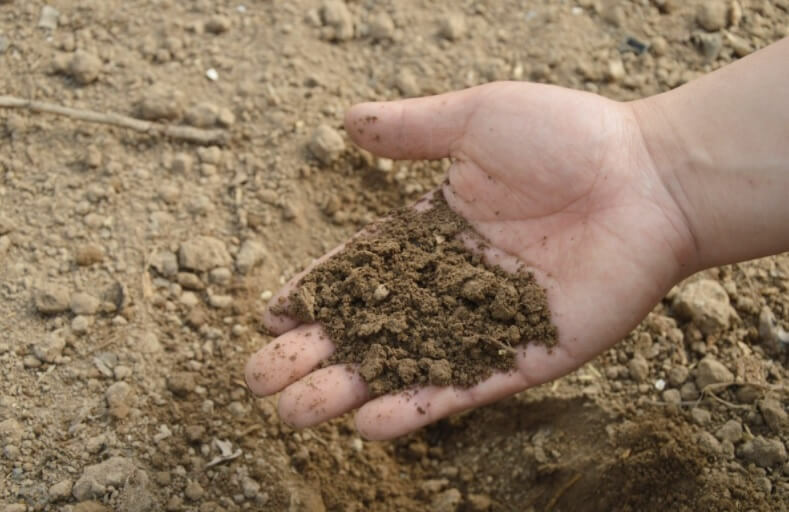 Understanding the structure of our soil will help to know how to convert it from a loose, water resistant, dry soil into a lush, nutritionally rich, productive soil. Mixing in an organic soil conditioner, such as Aussie Organic Premium Soil Conditioner found here, will provide the soil with substantial water retention ability. We also have soil nutrient Multi Grow Organic 2000 pellets in 25kg bags, and bentonite clay in 20kg bags. The soil conditioners will also add an excellent environment for the growth and retention of microorganisms and earthworms that are vital components needed for lush lawns and healthy plants. Soil conditioners help to turn the bare ground left behind after new home construction or renovations into healthy, lush greenery. If you are not sure what the soil composition was before the ground was left bare, you can bring in a small pail of the soil to be analysed by our expert soil professionals. Organic soil conditioners are available in 30 litre, prepackaged bags or in bulk per trailer load. Our conditioners are a blend of plant and/or animal manure in different stages of decomposition before reaching the final, long lasting stage of becoming humus. Humus acts like a sponge that collects, holds onto, and then feeds both water and nutrients to the lawn and plants as needed. The humus prevents the loss of valuable organic materials. 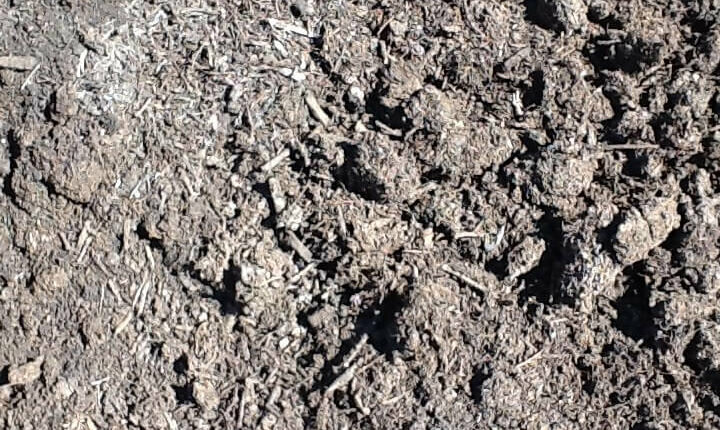 The goal of soil conditioners is to reduce the large, empty spaces normally found in sandy soil and fill these areas with organic microorganisms. The results from adding soil conditioners are improved, lush soil composition, and the reduction of nutrient and water leaching. Plan to spread a thin layer, about 10 cm in depth, over the top of your current soil. Then dig down into the soil and mix the current soil with the conditioner. Complete the job by watering the conditioner into the soil until you see a foaming effect. This tells you that the mixture is beginning to work. The net effect of this application is to provide a healthy top layer for lawns or to improve the planting soil composition for plants and gardening. One application of soil conditioners is the starting point for building sturdy, long lasting humus. There is no one-and-done scenario. It takes dedication and patience to keep the soil enriched. The alternative is to let the soil revert back to its native state, which is not why you started your lawn improvement project. You can plan on a few more applications during the next 3 to 5 years. This is because nearly 70% of the added nutrients is used during the first year it is in the ground. Over the next few years, as the soil structure improves and it becomes more resistant to water, disease, and nutrient leaching, the less conditioner you will need to add to the soil. The depth of your improved soil will also grow from the initial 10 cms to a healthy 20 to 30 cms that will retain moisture and be full of valuable microorganisms. 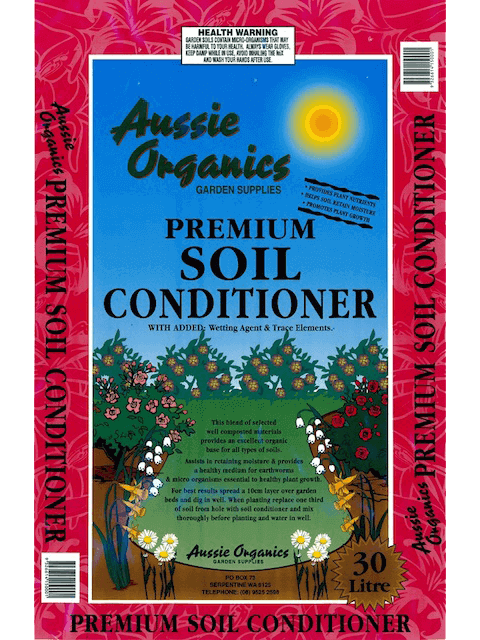 Bibra Lake Soils stocks a full line of soil conditioners to insure that you have the right conditioners needed for your property. If you are not sure how much conditioner you will need, just ask one of our professional lawn specialists. In the event that we do not have the most effective conditioner for your soil, we will find another location that does have the materials. Whenever you are ready to tackle your soil enrichment project, we will be here for you. All you need to do is to bring a sample of your soil, your ground measurements, and your desired plans. We are open 7 days a week to fulfill your soil and landscaping needs and to answer any questions you might have about soil maintenance.